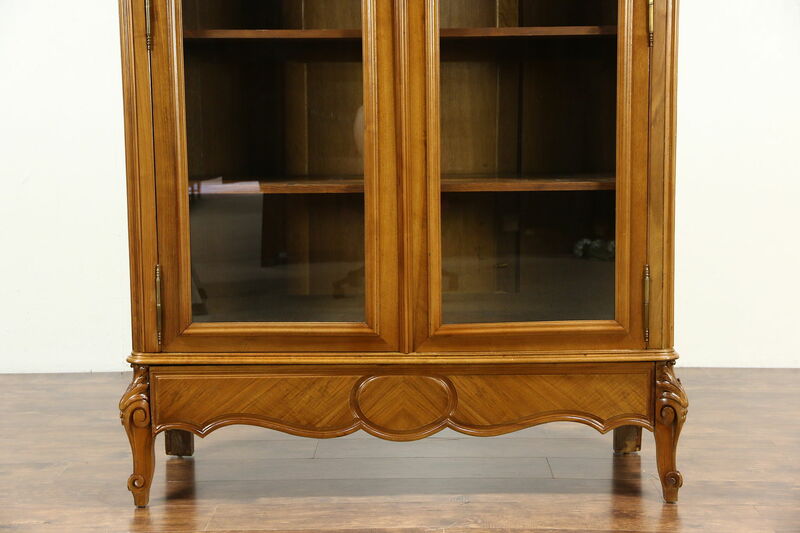 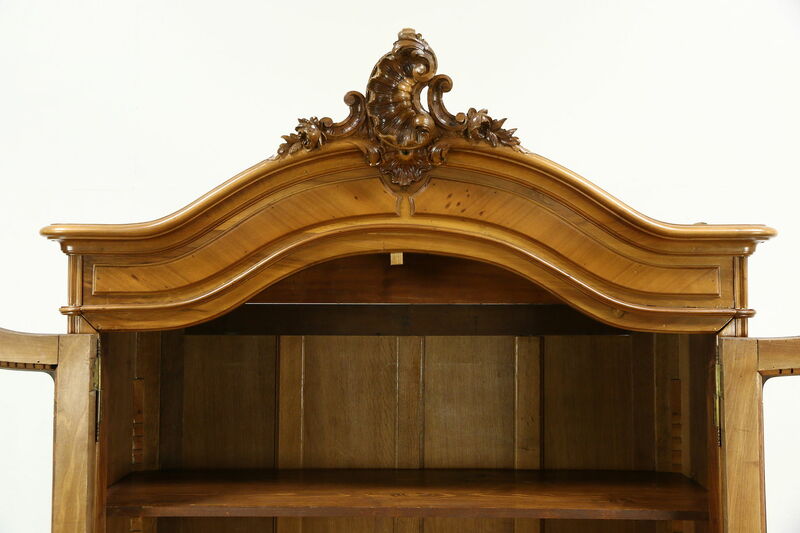 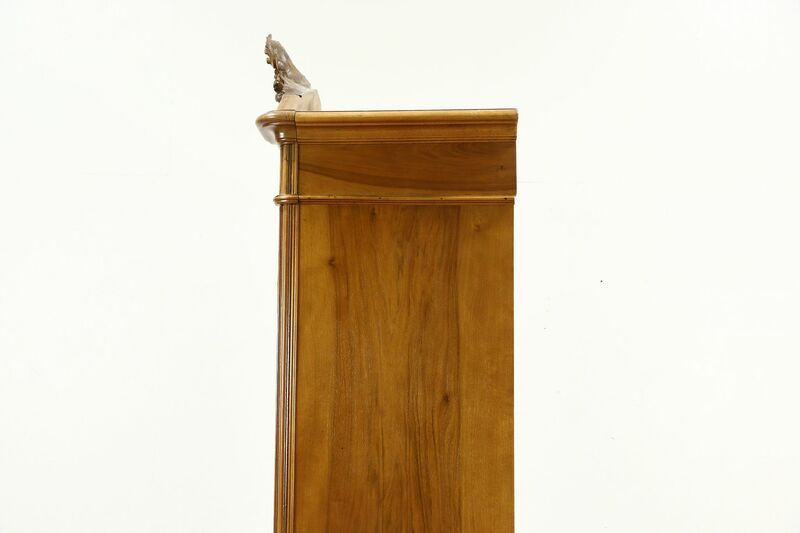 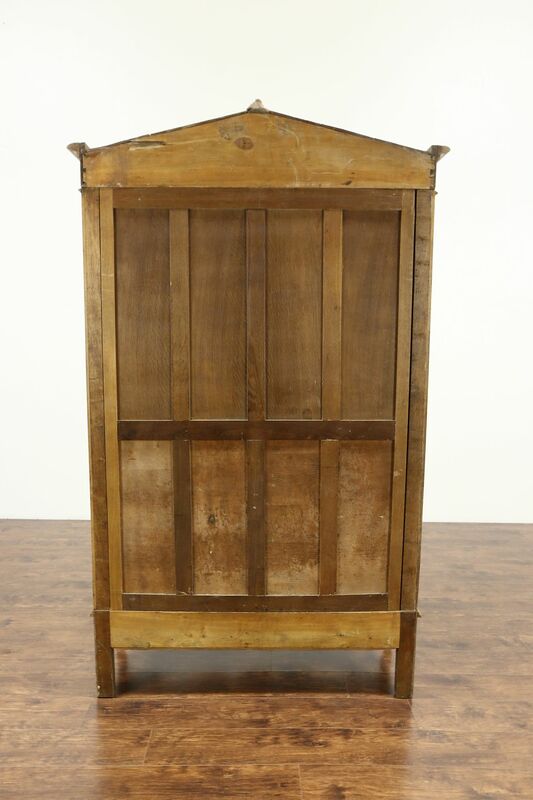 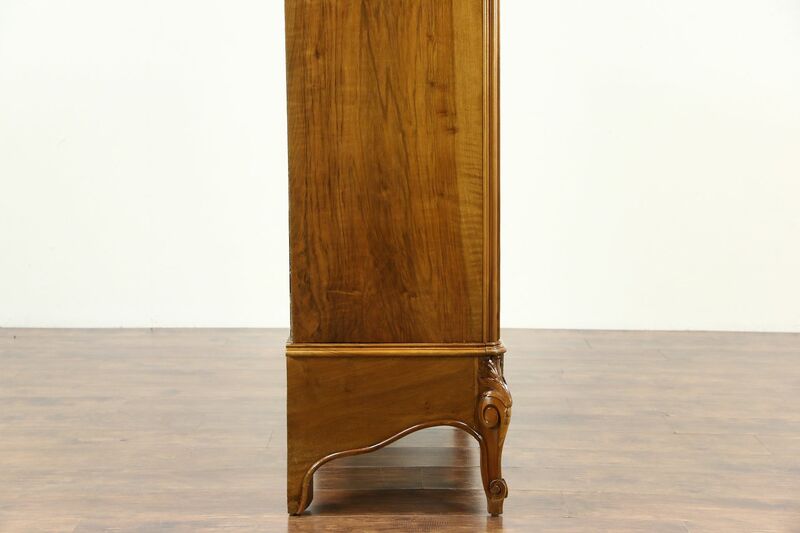 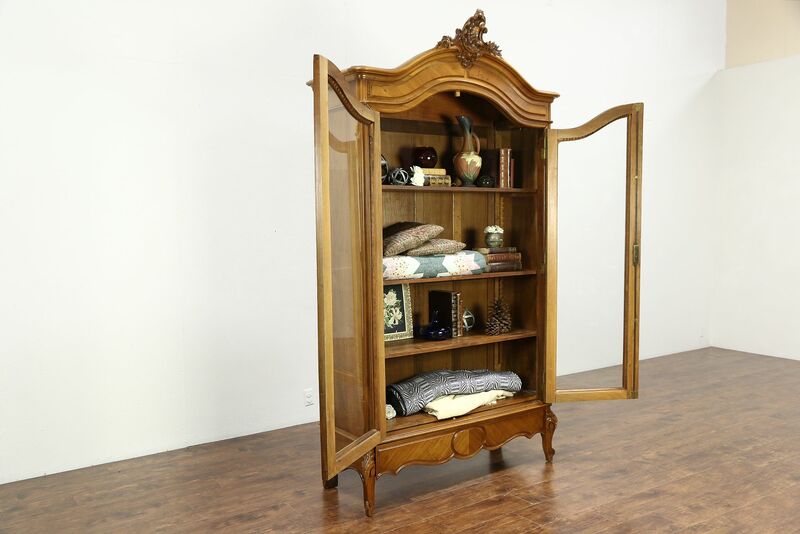 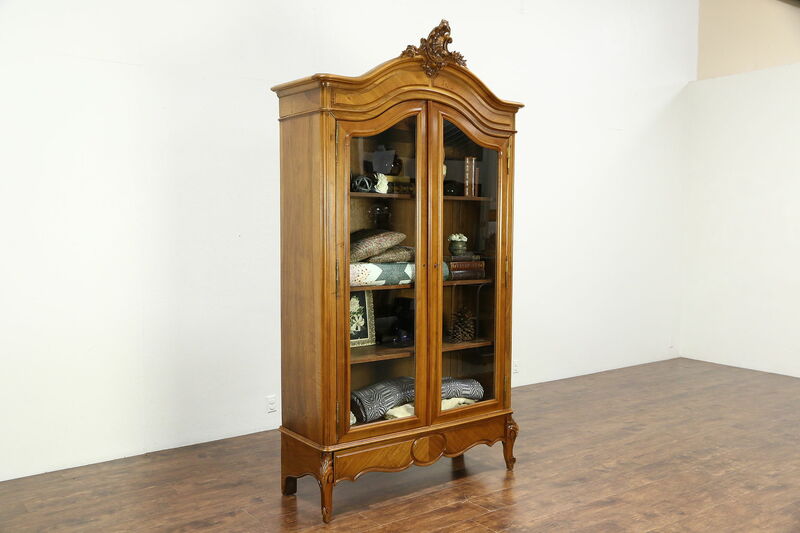 A traditional French armoire with glass doors from the early 1900's could be a bookcase or china display cabinet as well. 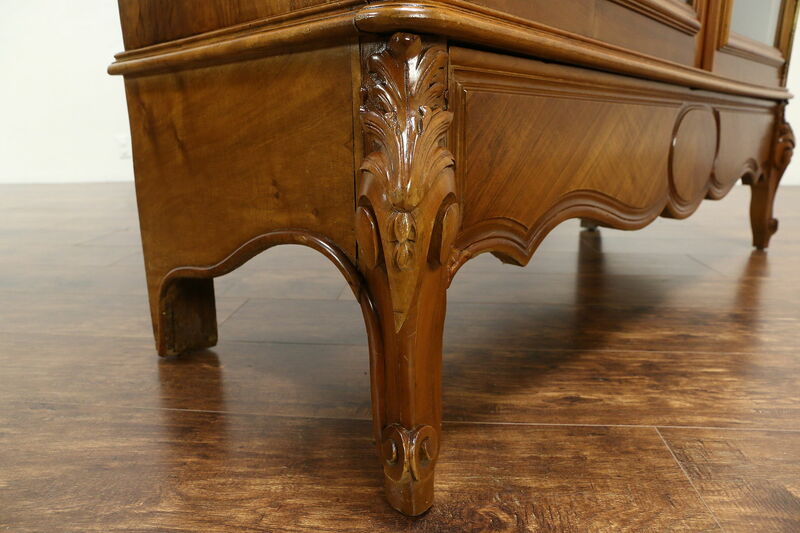 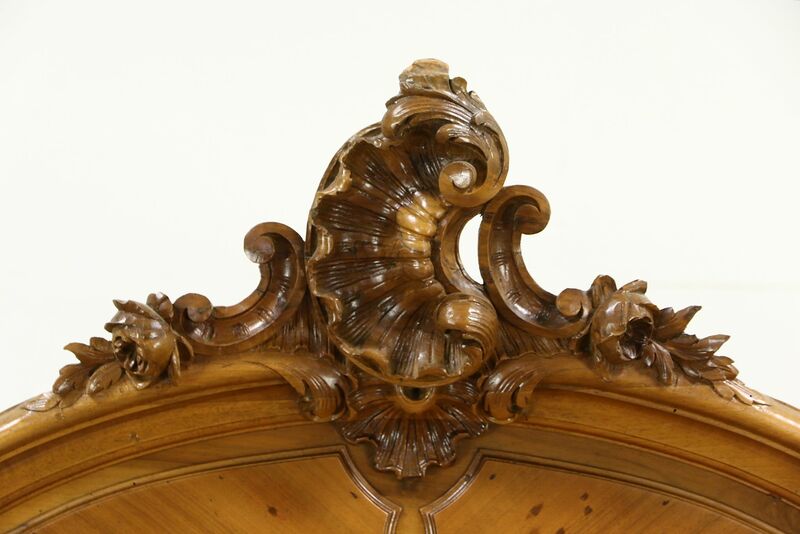 Hand carved details are exquisite. 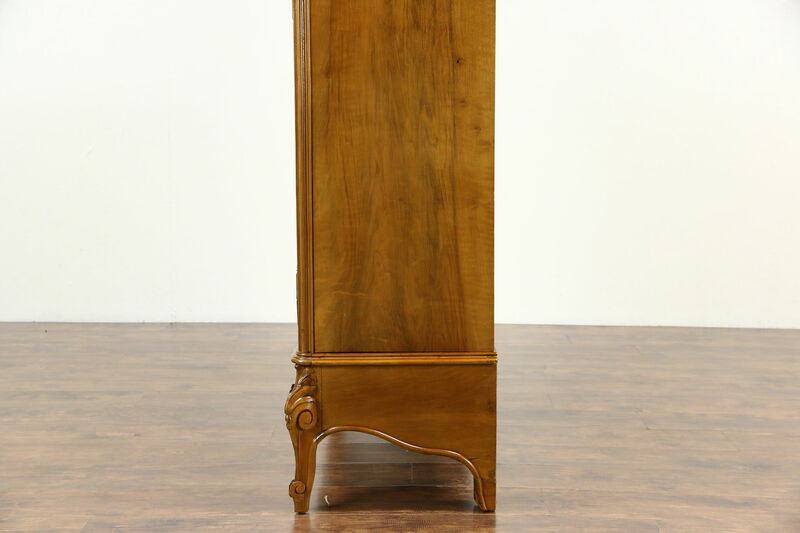 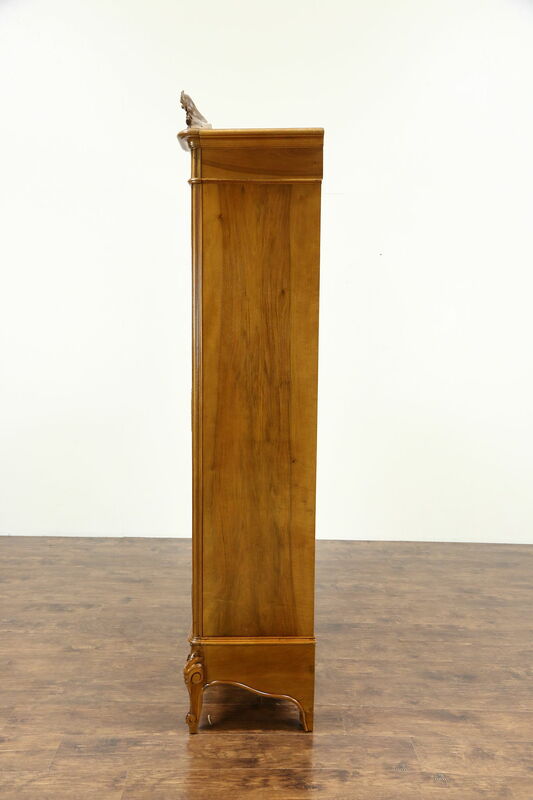 The renewed finish is in excellent condition on fruitwood, preserving a few stains and mars for antique character, see photos. 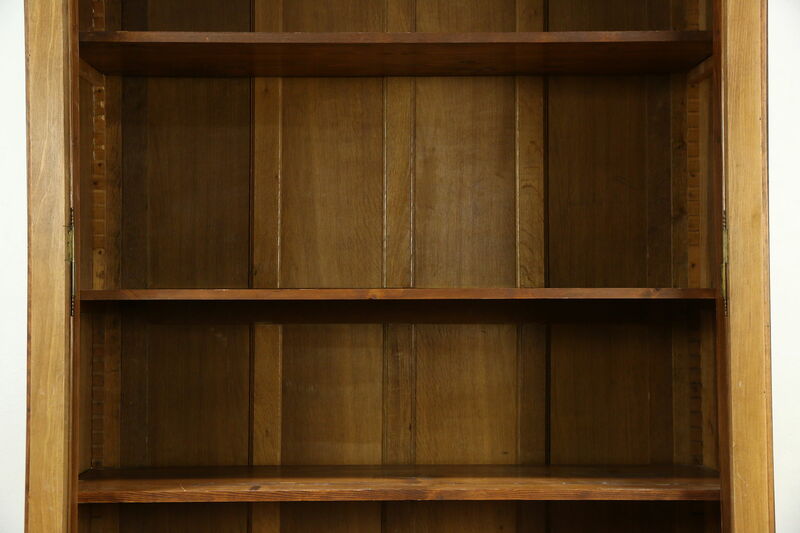 Interior shelves adjust on wooden supports. 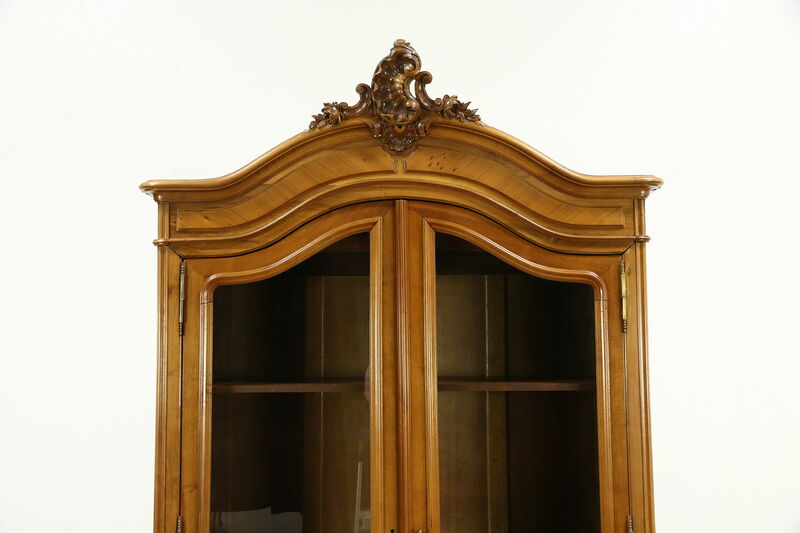 The double throw lock and key work on this antique furniture from France. 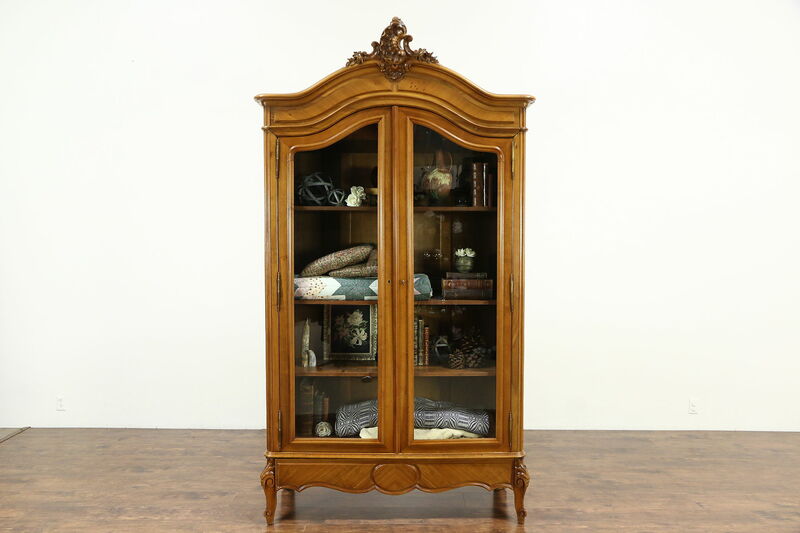 The left door has a slight warp from age. 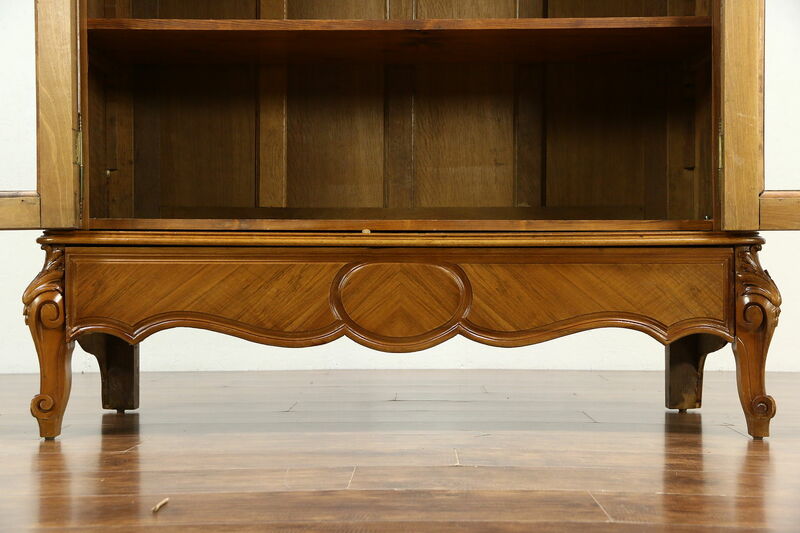 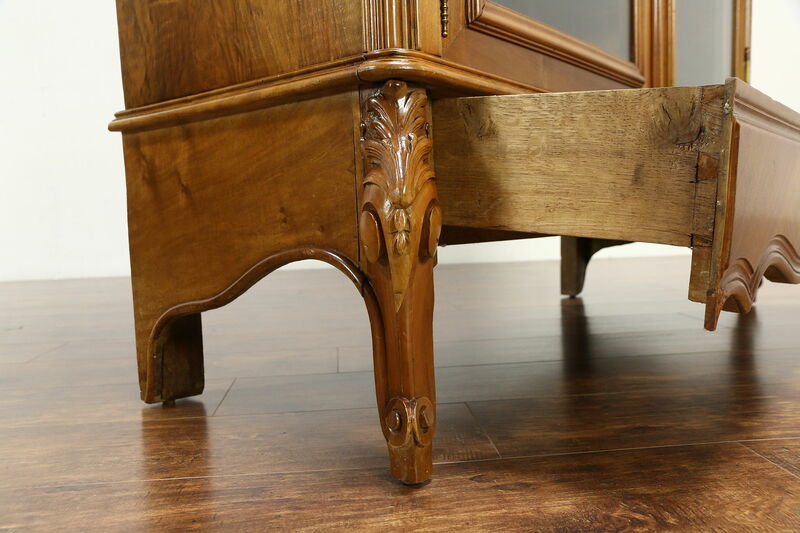 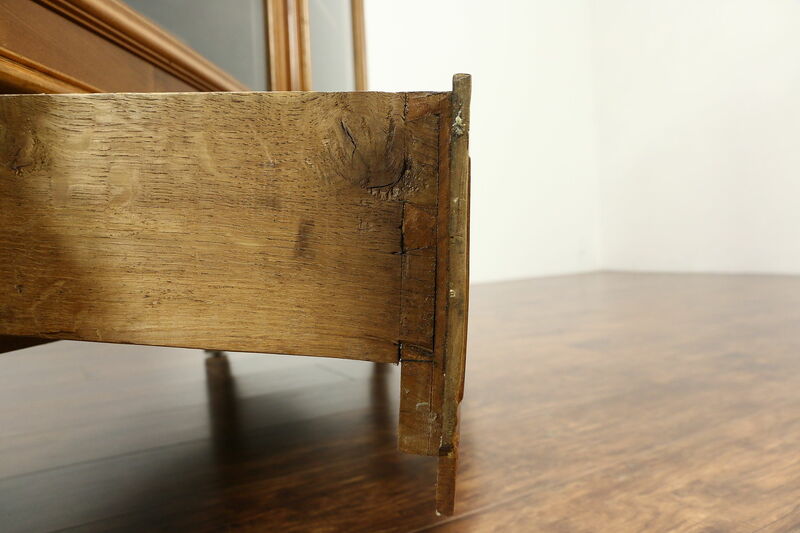 For easier delivery, this historic furniture can be disassembled. 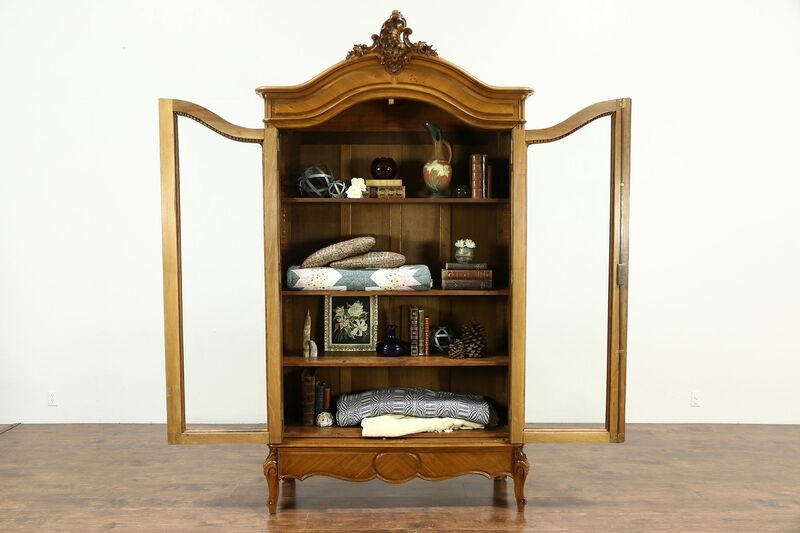 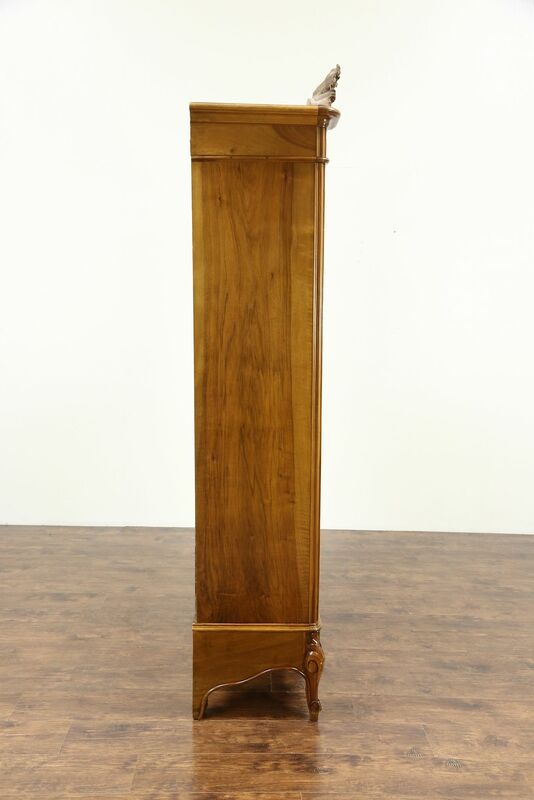 Size is 56" wide at the crown, 20" deep and 8' 3" tall, the interior is 15 1/2" deep.